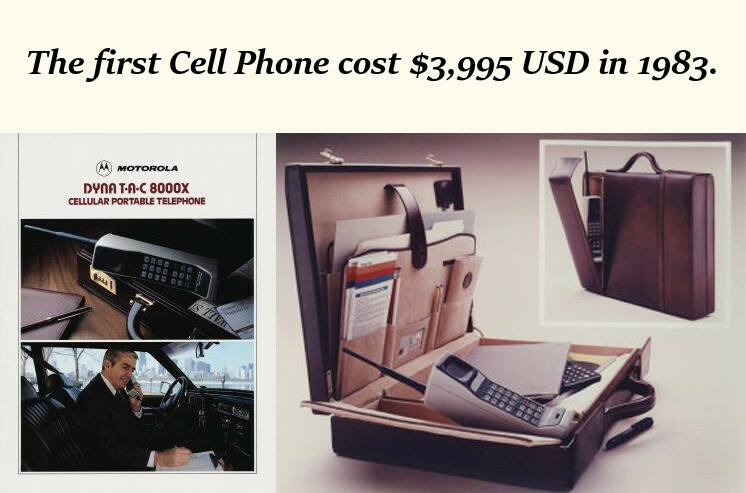 The first commercial cell phone was the Motorola 8000X and cost an astounding $3,995 USD at the time of its release in 1983. To put this in perspective, accounting for inflation it would have cost almost $10,000 today, in 2016. That is worth more than most used cars! The phone also weighed about 2.5 pounds and only had a single text-only LED display. Nowadays you can get a phone infinitely times more power, much smaller, and for a fraction of the price. Although it is amazing to see how far we have come, just imagine what kind of phone will be available in another 40 years time; assuming that phones are still being used by then.